As an integral part of the Zenith Group, we provide clients with the necessary advice, design and recommendations to ensure that key project criteria of safety, serviceability, cost, performance and overall client satisfaction are achieved. This front-end expertise determines the solutions we recommend for temporary works design and strategies that are appropriate for industrial projects. 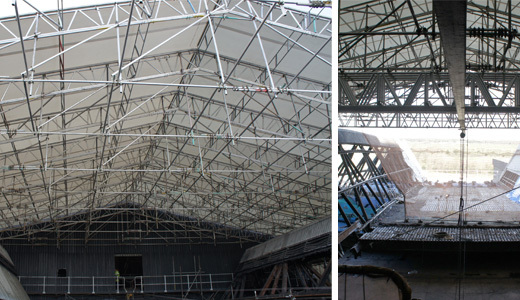 The design, research and planning process utilises our considerable industry experience and state-of-the-art technology, such as full-access digital surveys, online hot camera inspections, structural analysis software and CAD generated drawings, to provide a full consultancy service for our clients from reporting to complete structural information for new projects. Zenith has extensive experience in the design and construction of both new build and refurbishment projects across the civil and industrial engineering sector including waste water, education, commercial, healthcare, residential, industrial and leisure sectors.